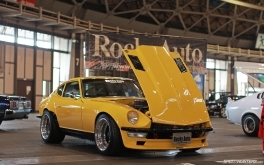 This year the organizers of Nagoya’s Exciting Car Showdown created a new prize category to include votes from the various members of the foreign media that covered the show. I thought it was a great idea, but at same time quite humbling to have the chance to give our feedback. What was even cooler was seeing that I wasn’t alone in voting the Daddy Motor Works GB122 Sunny Truck as one of the best cars in the show. 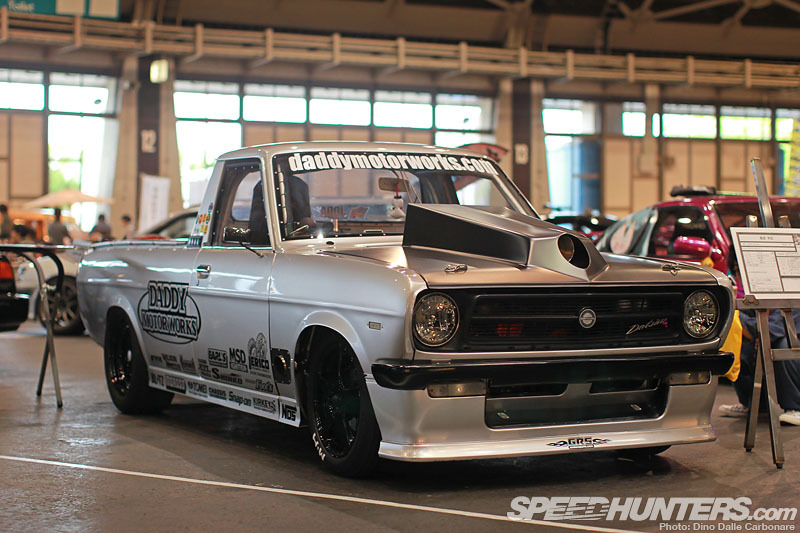 I guess it pays to think outside the box, and the owner/builder of this crazy little truck has certainly done that. 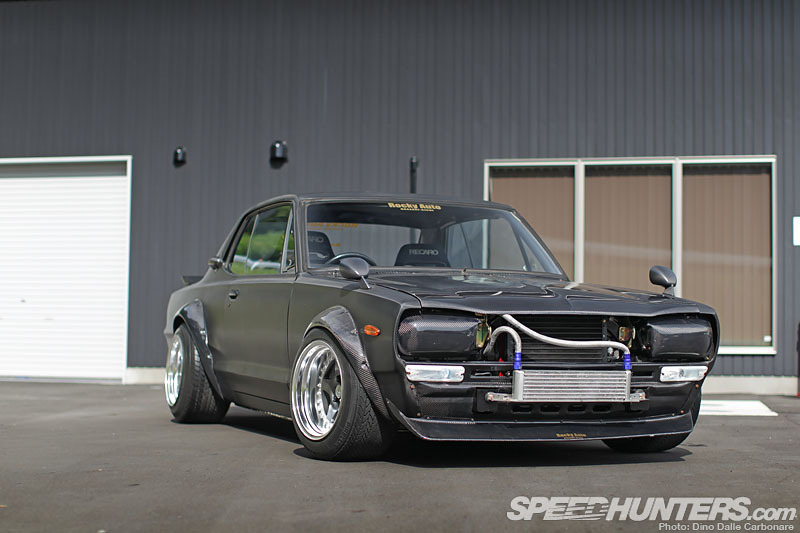 …very well executed VQ35DE engine swap. 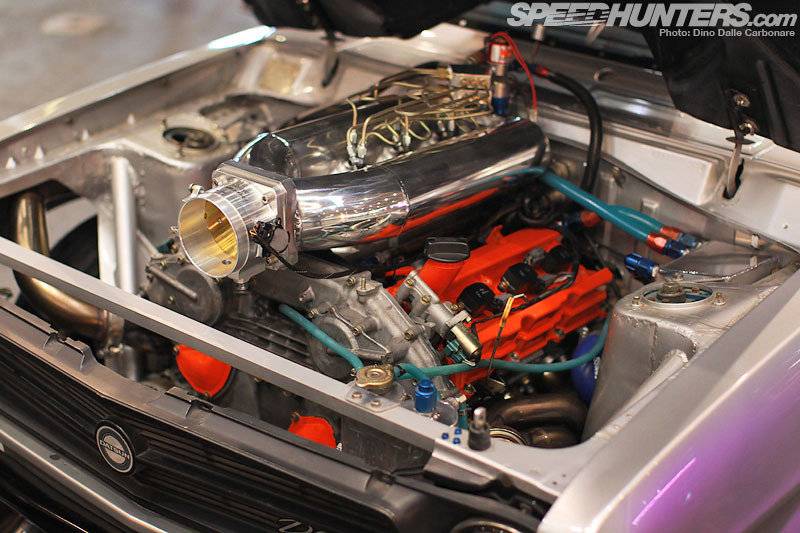 Nissan’s 3.5L V6 replaces the SR20 that used to power the Sunny. 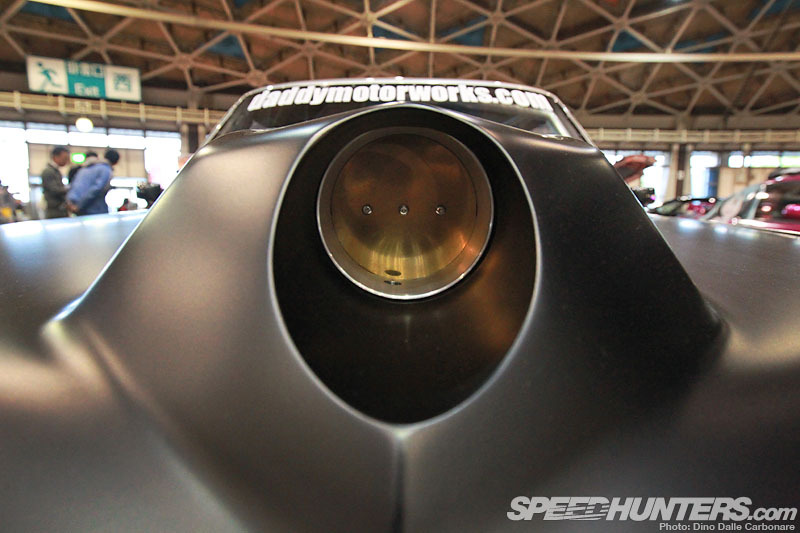 It’s the first stage of a conversion that’s seen the Truck mature from a fast streeter into a dedicated drag machine. I say first stage because the owner still plans to fit a pair of blowers after he has had the chance to replace the stock rear end with something a little stronger. Still it’s not exactly a slouch, because the VQ – thanks to a custom plenum and a healthy dose of nitrous oxide – develops 380hp, which equates to 11-second passes on the strip. The Sunny will be fully tested on the strip at Central Circuit very soon. To prepare the chassis for the power that will eventually come, the body has been fully spot welded and thoroughly caged up. Suspension is a one-off design and the Truck sits on 15-inch Weds wheels up front and Work Meister CR-01s at the rear, all shod in drag-spec rubber. The bed houses the radiator which is fed fresh air from a large scoop beneath the truck. For ultimate weight distribution the battery and racing fuel cell have been positioned right at the back of the bed, which is all sealed up with aluminum plates fitted with quick-release clips. 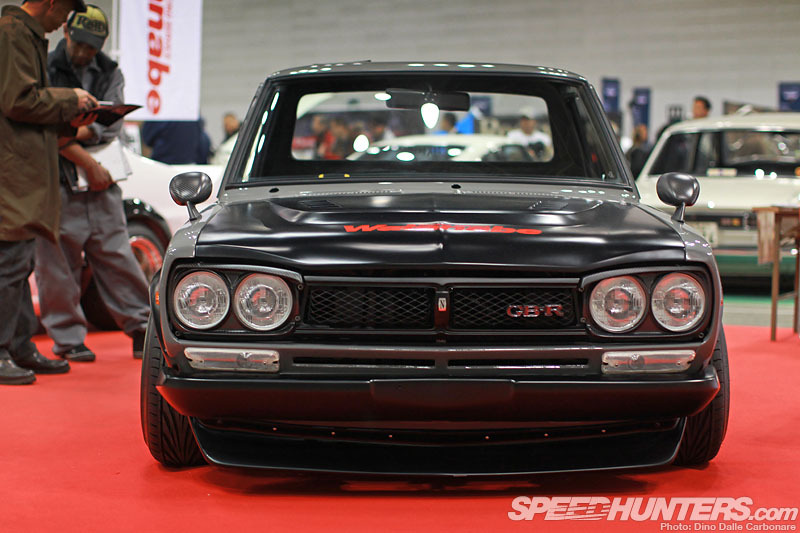 …and it’s probably one of the cleanest cars we have ever seen from the famed resto-mod specialist. This Z runs a highly-tuned Corvette engine backed up by a five-speed transmission. As you can see, a lot of work went into making sure the chassis is able to cope with the brutal power and torque the 5.7L motor develops. A welded-in cage keeps occupants safe, while the seats look like they’ll keep them comfy. 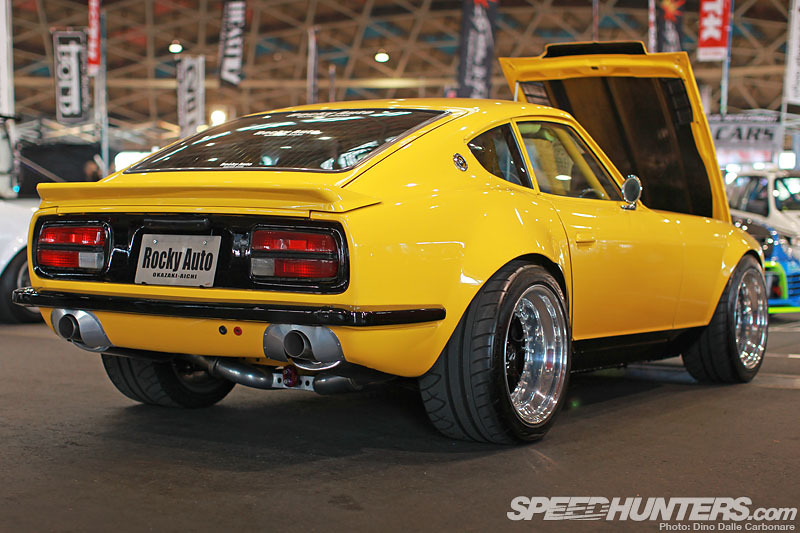 The S30 sits on custom Tokico dampers mated to a revised suspension layout with drive sent to a pair of massive 295-section tires. It’s for sale too, and yours for a cool US$100,000. 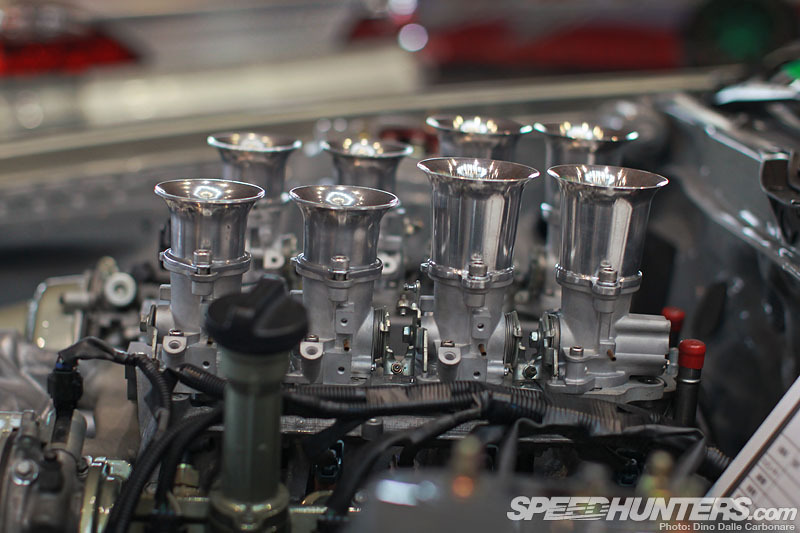 Had enough of engine swaps? 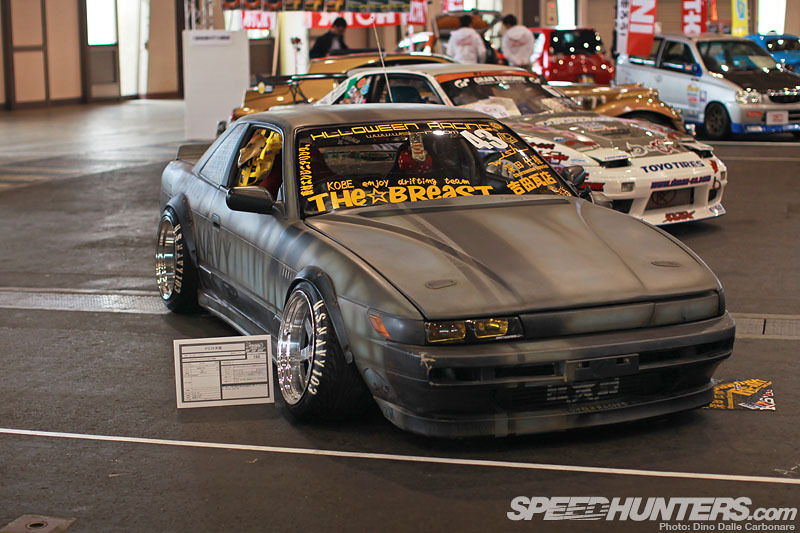 Well there is one more I want to show you in this first Spotlight-O-Rama and that’s the Speed Club Mars JZX81 Cresta. It’s still very much a work in progress and since it’s being built for drift it will hopefully be sitting on smaller diameter wheels when completed. But looks aside, it’s the stuff in the engine bay that really makes it stand out, and there’s no straight six power here! 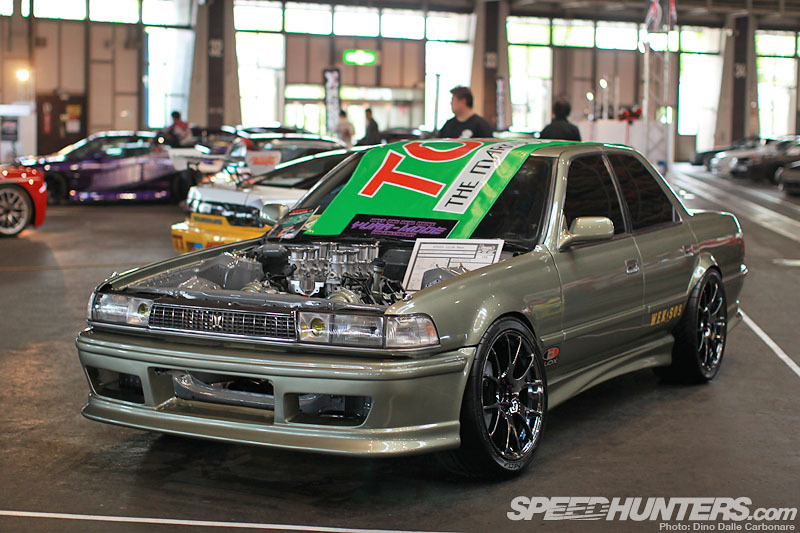 According to Speed Club Mars the Toyota 4.3L 3UZ-FE will develop well over 300hp when fully set up. We’re sure it will sound pretty wild and the response through the eight individual throttles will be as quick as it gets. 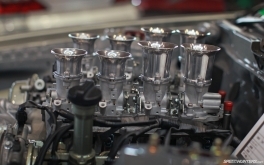 Curiously, the four rearmost cylinders breathe through longer velocity stacks, probably something to do with balancing and equalizing the amount of air that gets sucked in by each of the intakes. This is definitely one car I will be keeping an eye out for once it’s finished! 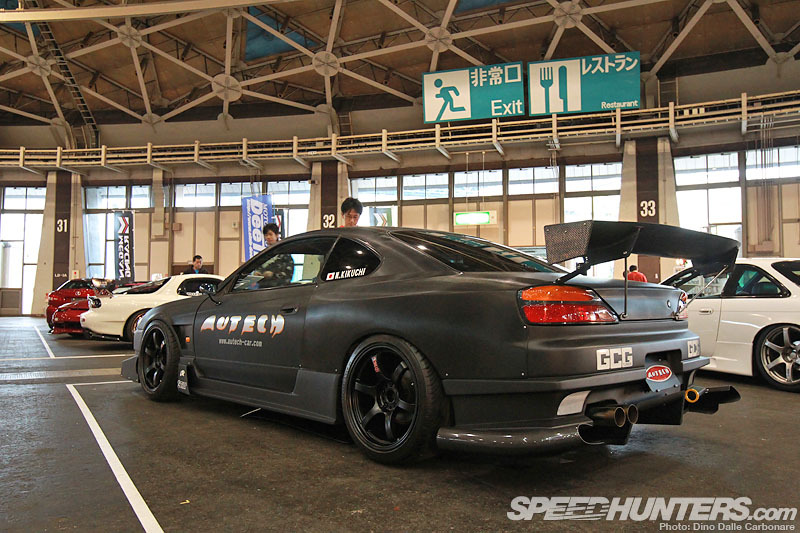 So from drag, street/kyusha and drift we now get to time attack, and what a crazy project the Autech S15 is going to be! …which explains the pair of GCG/Garrett blowers with external wastegates – an unusual set up for a four-cylinder motor. 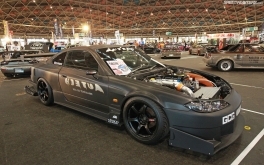 To make the most of the power band the turbos will provide with 2.4-bar (35-psi) of boost dialed up, Autech has equipped the SR20DET block with an SR20VE head (with variable valve lift and timing) from a P12 Primera. 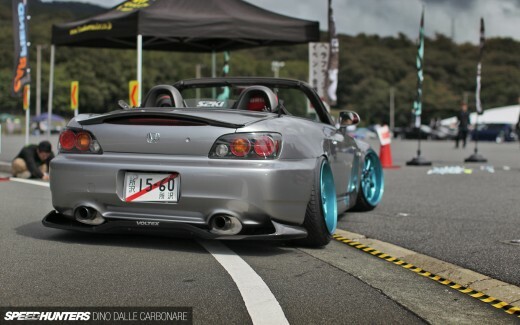 The car won’t probably be completed and set up in time for this year’s Super Battle in Tsukuba in December, so we will have to be patient and wait for its track debut in 2014. 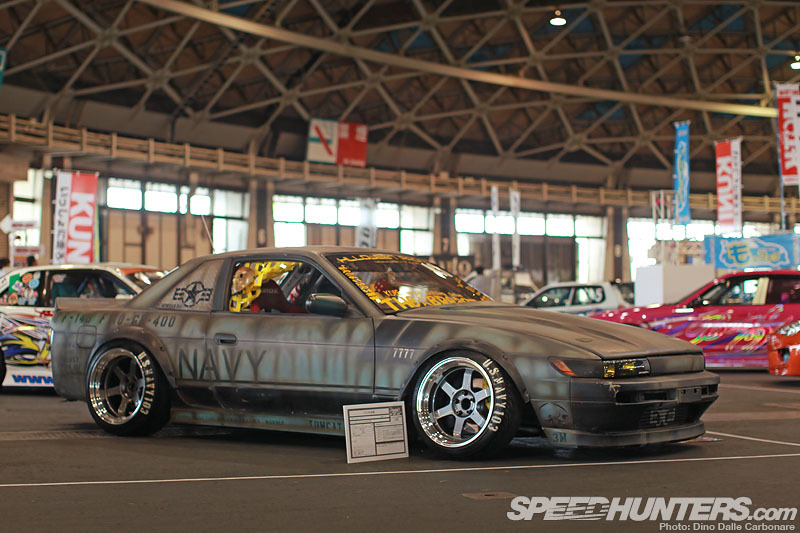 This spotlight mix wouldn’t be complete with a more aesthetically and stance-driven project, and for that I’ve chosen a car that shows military themes haven’t passed their sell by date quite yet. 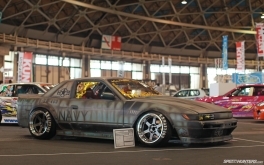 The exterior of this “F14 Tomacat S13″ was colored and airbrushed by Painting Squad Taiki, which obviously spent a lot of time in giving that weathered military vehicle/plane/ship look. 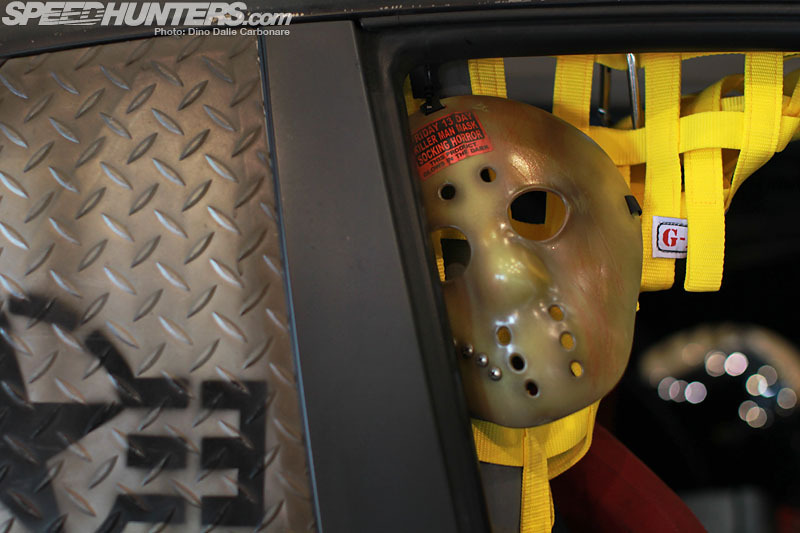 By far the coolest addition was the Kajo-style Jason mask hanging from the window net! 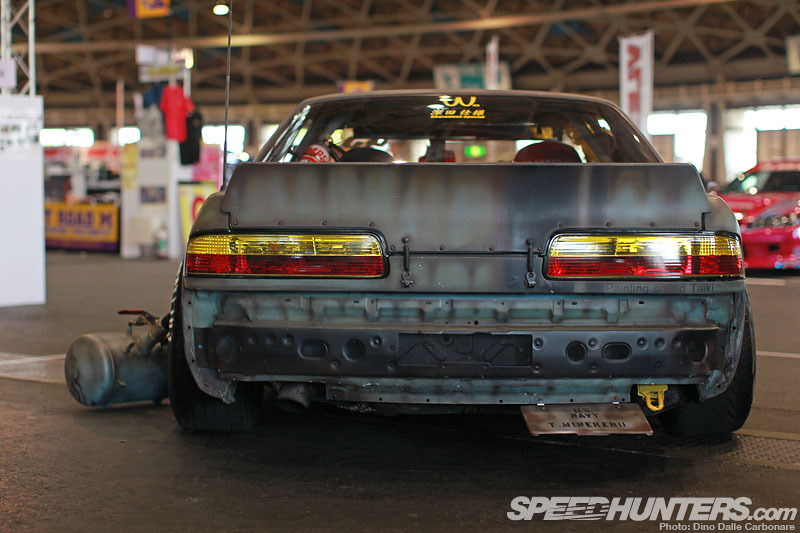 No bumper to be seen at the back, which is highlighted with a 6666 Customs ducktail spoiler from TRA Kyoto/Rocket Bunny and tinted taillights. 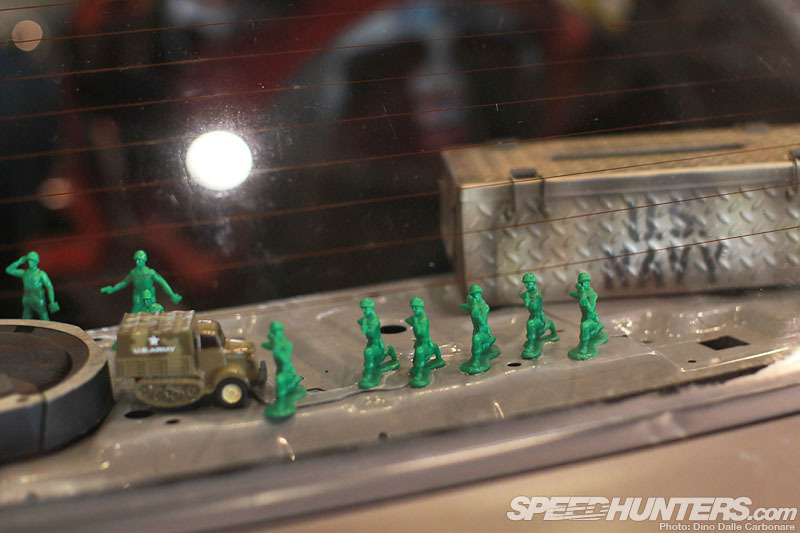 A little war scene was laid out on the rear parcel shelf depicting some kind of epic battle! 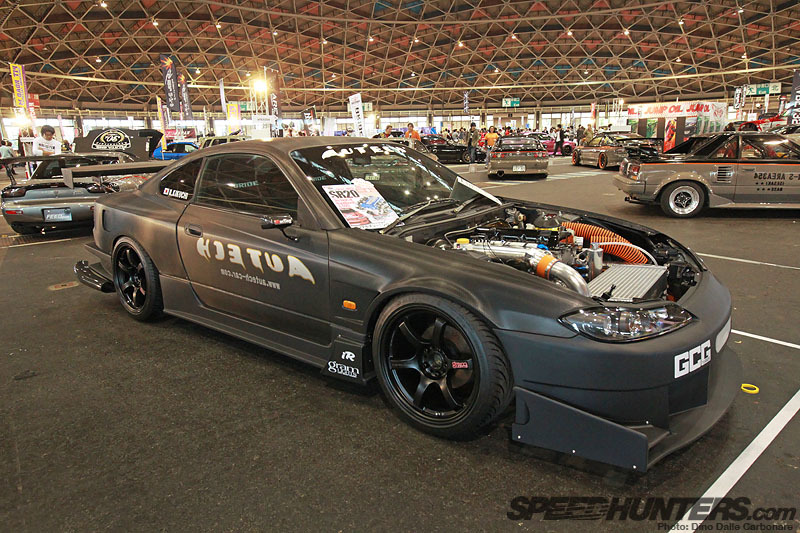 If you would like to see this car in more detail then you are in luck as Mike will be bringing you full feature soon! Stay tuned for another five-car Spotlight-O-Rama next before I head out onto the parking lot at the Port Messe to check out some of the cool cars that people drove themselves there in. 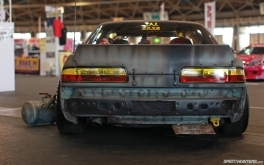 Where Can I find those Tail lights on the s13 coupe? Or are they 50/50 crystals with yellow tint?